As a game reviewer, you might think that I’ve got a lot of time to, you know, play games. This is unfortunately not always the case. Often a flood of games, or a pile of other jobs and responsibilities, will force me to keep my leisure playing to a very small and carefully maintained list of games. When it came out, the first Torchlight had a dedicated position on that list. When we got the chance to talk to some of the devs at this year’s PAX East while Diablo III was malfunctioning on the show floor, we became more and more excited for the game that was to come, and then finally our Preview Key arrived and we could sink our teeth in. Here’s what we thought. The first thing you might notice about the graphics for Torchlight 2 is that they aren’t shooting for the GPU-taxing HD realism that has turned into an arms race for many developers. I tested this on my work PC, which has a core i5 with Intel HD 3000 graphics, and the game was extremely playable with only minor tweaks. Impressively, its relatively light requirements don’t prevent it from being a gorgeous game. The art style is extremely distinctive and very attractive. I spent a long time just staring at the characters on the character creation screen. 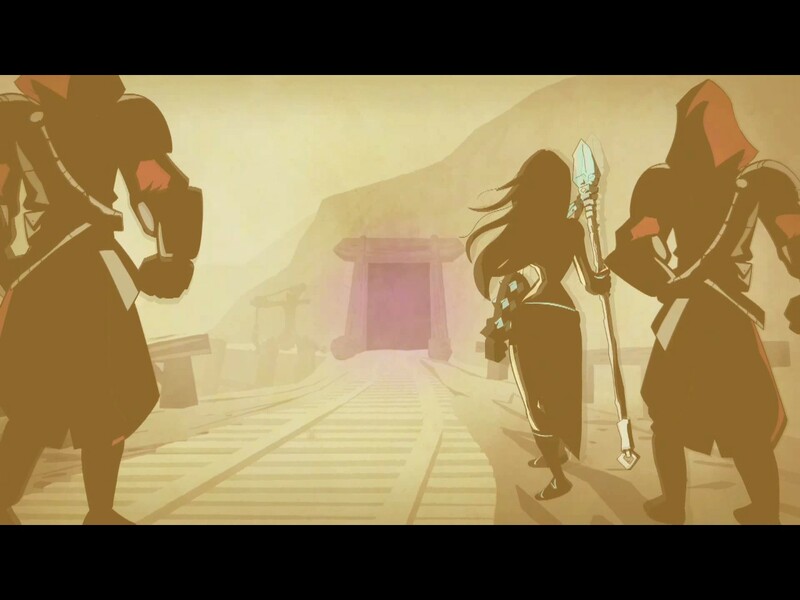 There are male and female versions of each of the four classes, which leads to some awesomely unexpected visuals. (The world needs more truly deranged female berzerkers, for example.) And don’t even get me started on the pets. Aside from the standard Dog/Cat choice—which this time around is panther, cat, bulldog, and papillon—they’ve added esoteric things like a lizard/bird/yoshi thing, a hawk, and a ferret. Wearing goggles. THE FERRET WEARS GOGGLES! EEEEEEHEHEHEHE! A cute girl armed with a massive wrench, a ferret with a back pack, and each with matching goggles. This is the best game ever. Aside from the way the visuals look, there’s always the question of how the visuals work, and the answer is, very well. Settings in the options apply colored labels to the various loot on the ground, making it not only easy to spot interactive objects, but hard to miss them. The precious “floating numbers” that proclaim your combat dominance in the many pitched battles you’ll encounter are of course proudly present, and the actual quantity of numbers can be adjusted. As always, relevant info like health, experience level, mana level, fame level, charge level, pet health, and the staggering amount of other things relevant to your interests are laid out in easy to read and quick to understand meters around the periphery of the screen. Other players in multiplayer show up as colored dots on the map, making them fairly simple to track down when they are on the same load zone. The things they say in chat show up over their heads, too! 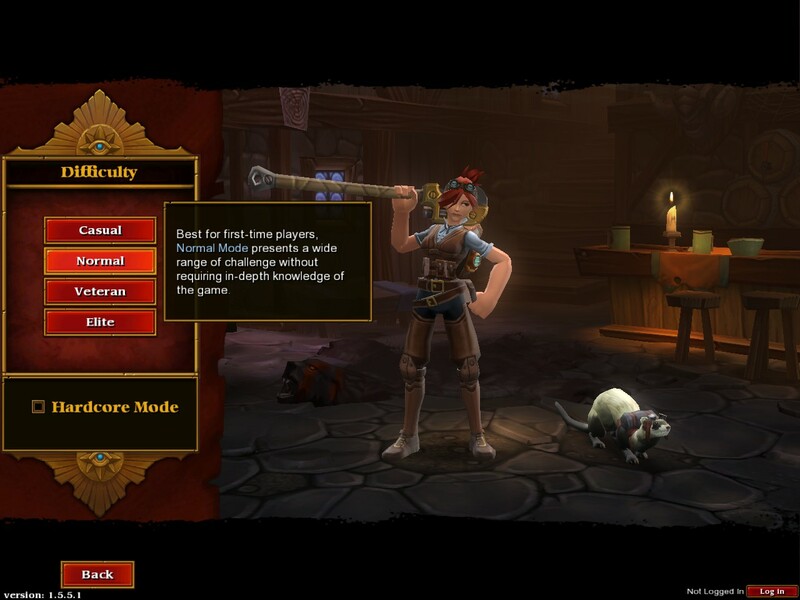 Really, one of my favorite little graphical touches, though, was the fact that the load screen has a count of how many unspent stat and skill points you’ve got, which is beyond handy since Torchlight 2 isn’t exactly stingy with either of those things early in the game. Overall, I found very little to complain about in the graphics. The battles are suitably crowded, colorful, and epic. The equipment is varied and interesting. The UI was clear, easy to configure, and didn’t get in the way, and settings allow you to fiddle with just about anything you can think of. Hell, the opening cut scene that introduces the plot is superbly animated and, for me, completely unexpected. Good stuff. 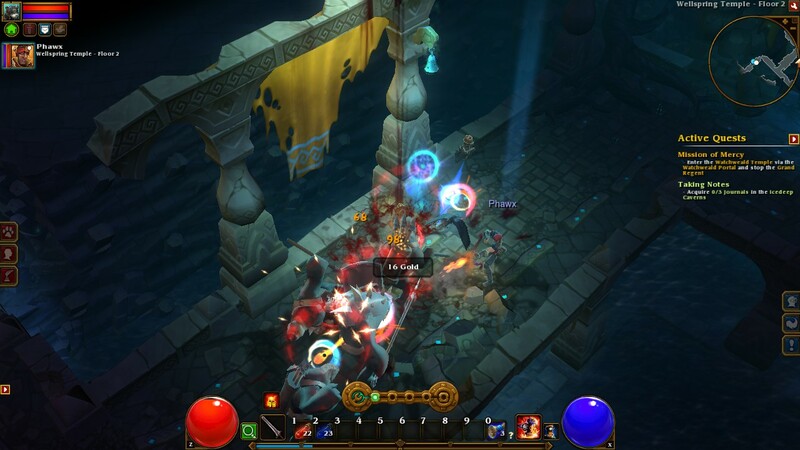 For those of you unfamiliar with the original Torchlight, it is a Diablo-esque action RPG focused on the accumulation of loot in order to turn your character into a monster slaying Demigod. The sequel is the same, only more so. It has been expanded in every possible way. Four all new classes make up the cast; Berzerker, Engineer, Embermage, and Outlander. 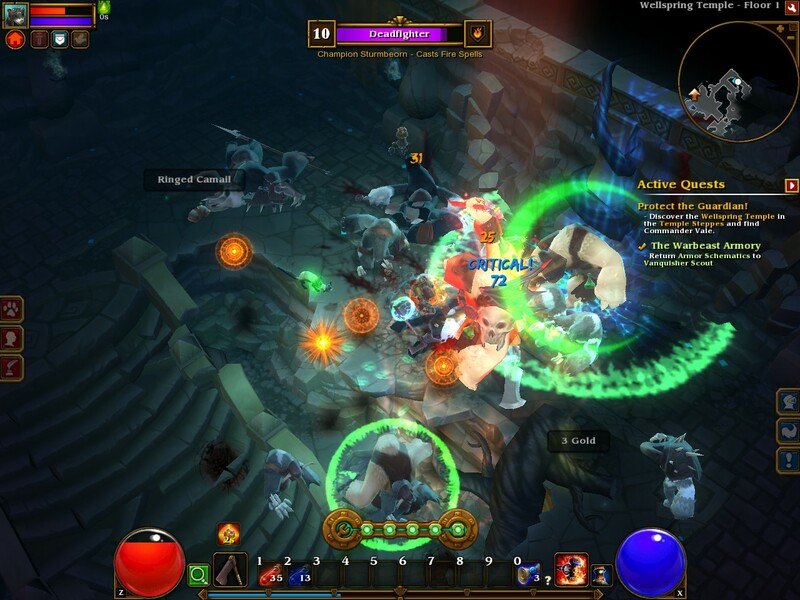 The Berzerker is just what you expect it to be, a damage absorbing melee class with a penchant for raw destruction. The Engineer likes to wield a big honkin’ wrench and construct little robotic buddies to do his or her dirty work. Embermage is a casting class and Outlander is a dual pistol ranged class. Each class has three directions they can customize their character, and each direction has a collection of active abilities and passive abilities that can be leveled. Between the three branches and the dozens of levels for each skill therein, you can sculpt each class into whatever you want it to be. Damage over time, area attack, support, defense, etc. One thing present in the game that was initially absent in the first one is the ability to respec, handy for when you realize you’ve made some character development choices that are not compatible with survival. I don't want anyone writing in and telling me that the name of the ferret in Beastmaster was Podo, not Poko. This is a whole other ferret. As I recall, most of Torchlight took place in the same very deep hole in the ground. 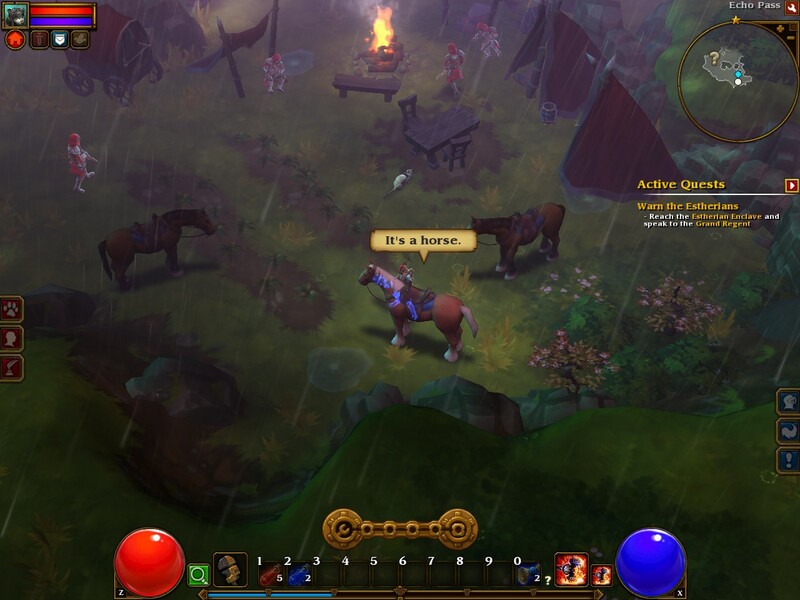 Torchlight 2 has expanded the setting enormously. There is now sprawling countryside, various caves and ruins. Multiple cities, and more. The quests you encounter will take you to the far corners of the map, and along the way you’ll find individuals who need help with their various trials and tribulations. Each quest has an indicator of the level that is recommended, and the map clearly indicates where your next target can be found. We'd like to thank our special guests, Phawx and Cinder! Naturally the biggest addition to the game is the multiplayer, and it works… reasonably well. We got our hands on a preview key, as I’ve said, so any complaints you are likely to read here are almost certainly addressed, but they still warrant a mention, as they tie in with some choices made by the devs. 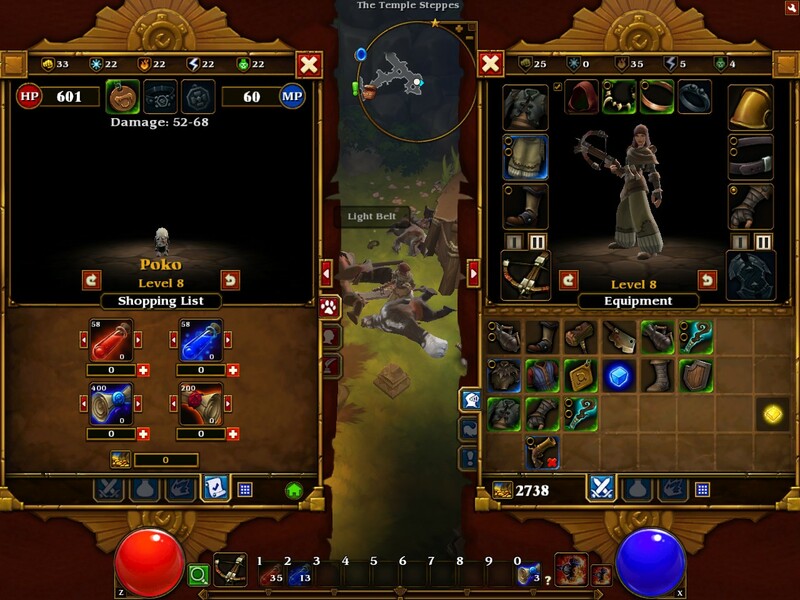 The multiplayer connections and matchmaking are handled via an account made on Runic’s site. It can be linked to your steam account, so after a little finagling your experience will be similar to what you’ve come to expect from steam games, but in our case, that finagling was not without mishap. Phawx, a fellow Brainlazer, hopped on and we tried to join a game together, but logging on, linking an account, and eventually joining a room together took a total of three game restarts and one reboot between us. Once that was done though, finding each other and joining a room was simple, and then the adventure could begin. Multiplayer in this game is interesting. You feel less like members of a party and more like people who are coexisting in the same world. There is nothing tying the group together, forcing them to do the same quests or otherwise uniting their efforts. You don’t even have to hang out in the same part of the world. There is a unified chat to keep you in touch, and indicators in the map will let you zero in on friends nearby, but for the most part it feels very free-form, with people sitting up and doing it as they see fit. As a person who has never really gotten into an MMO, it was more of a novelty to me than it was to the WOW alums I was questing with, but it was still undeniably fun to wade my level 14 engineer into a mob of monsters and absorb damage and hold attention while my lower level buddies took pot shots from relative safety, basking in the healing aura of my little heal bot. I’m not sure why I always draw a blank when I get to the sound section of these reviews. I mean, the music is epic and fantasy, as it should be. The voices are pretty good, if a little flat at times, and mostly both are drowned out by the sound of chaotic battle and the cries of a thousand foes succumbing to the wrath of my mighty weaponry. What more is there to say? Red Hoods are roughly equivalent to Red Shirts. Just so you know. 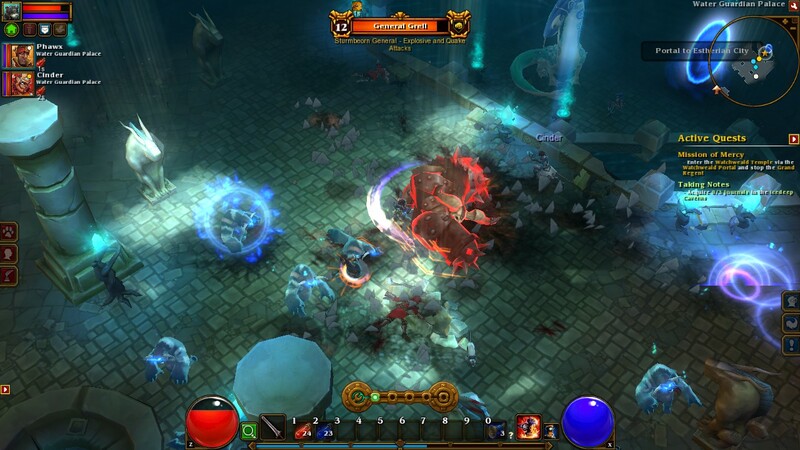 For many, the story of Torchlight 1 was “go in that hole and kill lots of things”, a task you were only too glad to do, but there was indeed a plot behind all of that dungeon crawling, involving the corruption of a powerful man, an infection called “Ember Blight” and the endless struggle between good and evil. This game continues the story, beginning with pitched battle against The Alchemist… say, wasn’t that one of the classes in Torchlight 1? So the hero of the first game is the villain of the second? Sounds diabolical. And I played through the last one as an alchemist, so this is me duking it out against me. Trippy. The story continues to detail the path of destruction left in his wake and the steps to deal with plagues and other mysterious happenings related to his rise. Good stuff, if you pay attention. If you don’t? Well, “go find some holes and kill the things that are in them” is a good plot, too. 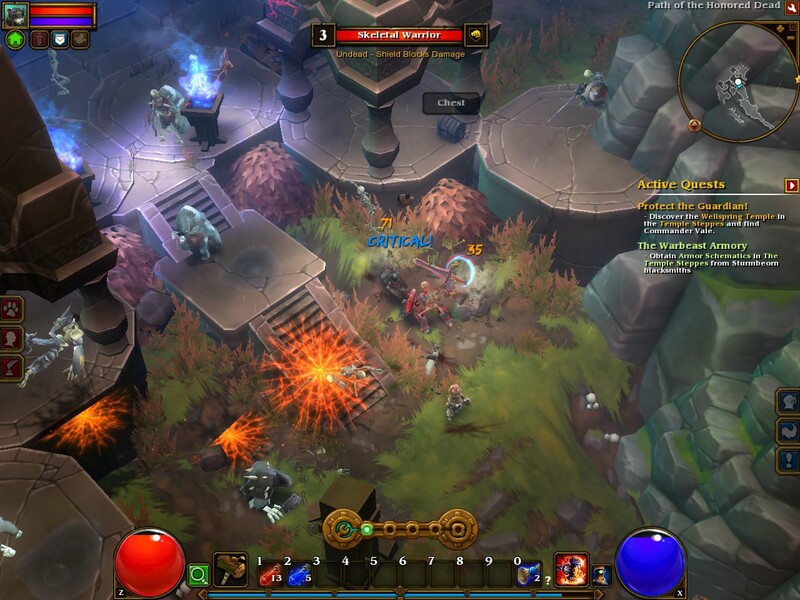 Torchlight 2 is a fine example of what a sequel should be. If you liked the original, you’ll find plenty more to like here, with the changes almost universally providing you with more game options and fewer annoyances. Once you get past the sign up and log in steps, it is smooth sailing for both multiplayer and single player. A fine addition to the series. 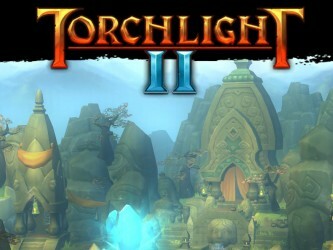 9.2 / 10: Aside from a few extra signup steps and a few early hiccups, Torchlight 2 meets or beats all of my very high expectations. Yes, I sent my ferret to bring me some dynamite. What of it?